The Honourable Chamber of Deputies of the Republic of Chile (Spanish: Cámara de Diputados) is the lower house of Chile's bicameral Congress. Its organisation and its powers and duties are defined in articles 42 to 59 of Chile's current constitution. A bicameral legislature divides the legislators into two separate assemblies, chambers, or houses. Bicameralism is distinguished from unicameralism, in which all members deliberate and vote as a single group, and from some legislatures that have three or more separate assemblies, chambers, or houses. As of 2015, fewer than half the world's national legislatures are bicameral. The National Congress of Chile is the legislative branch of the government of the Republic of Chile. Deputies must: be aged at least 21; not be disqualified from voting; have finished secondary school or its equivalent; and have lived in the corresponding electoral district for at least two years prior to the election. Secondary education covers two phases on the International Standard Classification of Education scale. Level 2 or lower secondary education is considered the second and final phase of basic education, and level 3 (upper) secondary education is the stage before tertiary education. Every country aims to provide basic education, but the systems and terminology remain unique to them. Secondary education typically takes place after six years of primary education and is followed by higher education, vocational education or employment. Like primary education, in most countries secondary education is compulsory, at least until the age of 16. Children typically enter the lower secondary phase around age 11. Compulsory education sometimes extends to age 19. Since 2017, Chile's congressional elections are governed by an Open list proportional representation. Open list describes any variant of party-list proportional representation where voters have at least some influence on the order in which a party's candidates are elected. This as opposed to closed list, which allows only active members, party officials, or consultants to determine the order of its candidates and gives the general voter no influence at all on the position of the candidates placed on the party list. Additionally, an open list system allows voters to select individuals rather than parties. Different systems give voter different amounts of influence. Voter's choice is usually called preference vote. Before 2017, a unique binomial system was used. These system rewards coalition slates. Each coalition could run two candidates for each electoral district's two Chamber seats. Typically, the two largest coalitions in a district divided the seats, one each, among themselves. Only if the leading coalition ticket out-polls the second-place coalition by a margin of more than two-to-one did the winning coalition gain both seats. with seats allocated using the simple quotient. The Chamber of Deputies meets in Chile's National Congress located in the port city of Valparaíso, some 120 km west of the capital, Santiago. The Congress building in Valparaíso replaced the old National Congress, located in downtown Santiago, in 1990. Valparaíso is a major city, seaport, and educational center in the commune of Valparaíso, Chile. "Greater Valparaíso" is the third largest metropolitan area in the country. Valparaíso is located about 120 kilometres (75 mi) northwest of Santiago by road and is one of the South Pacific's most important seaports. Valparaíso is the capital of Chile's second most populated administrative region and has been the headquarters for the Chilean National Congress since 1990. Valparaíso has seven universities. The Senate of the Republic of Chile is the upper house of Chile's bicameral National Congress, as established in the current Constitution of Chile. 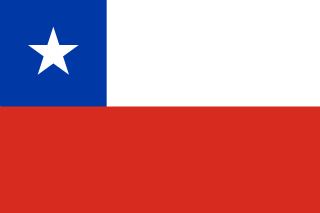 Chile's government is a representative democratic republic, whereby the President of Chile is both head of state and head of government, and of a formal multi-party system. Executive power is exercised by the president and his or her cabinet. Legislative power is vested in both the government and the two chambers of the National Congress. The judiciary is independent of the executive and the legislature of Chile. The Constitution of Chile was approved in a national plebiscite in September 1980, under the military government of Augusto Pinochet. It entered into force in March 1981. After Pinochet left power in 1988, saying this country was ready to keep going along with a plebiscite, the Constitution was amended to ease provisions for future amendments to the Constitution. In September 2005, President Ricardo Lagos signed into law several constitutional amendments passed by Congress. These include eliminating the positions of appointed senators and senators for life, granting the President authority to remove the commanders-in-chief of the armed forces, and reducing the presidential term from six to four years while also disabling immediate re-election. The Economist Intelligence Unit has rated Chile as "flawed democracy" in 2016. Valencia is one of the 52 constituencies represented in the Congress of Deputies, the lower chamber of the Spanish parliament, the Cortes Generales. The constituency currently elects 16 deputies. Its boundaries correspond to those of the Spanish province of Valencia. The electoral system uses the D'Hondt method and a closed-list proportional representation, with a minimum threshold of 3 percent. Madrid is one of the 52 constituencies represented in the Congress of Deputies, the lower chamber of the Spanish parliament, the Cortes Generales. The constituency currently elects 36 deputies. Its boundaries correspond to those of the Spanish province of Madrid. The electoral system uses the D'Hondt method and a closed-list proportional representation, with a minimum threshold of 3 percent. Asturias—Oviedo until 1986—is one of the 52 constituencies represented in the Congress of Deputies, the lower chamber of the Spanish parliament, the Cortes Generales. The constituency currently elects eight deputies. Its boundaries correspond to those of the Spanish province of Asturias. The electoral system uses the D'Hondt method and a closed-list proportional representation, with a minimum threshold of 3 percent. Biscay is one of the 52 constituencies represented in the Congress of Deputies, the lower chamber of the Spanish parliament, the Cortes Generales. The constituency currently elects eight deputies. Its boundaries correspond to those of the Spanish province of Biscay. The electoral system uses the D'Hondt method and a closed-list proportional representation, with a minimum threshold of 3 percent. Barcelona is one of the 52 constituencies represented in the Congress of Deputies, the lower chamber of the Spanish parliament, the Cortes Generales. The constituency currently elects 31 deputies. Its boundaries correspond to those of the Spanish province of Barcelona. The electoral system uses the D'Hondt method and a closed-list proportional representation, with a minimum threshold of 3 percent. Badajoz is one of the 52 constituencies represented in the Congress of Deputies, the lower chamber of the Spanish parliament, the Cortes Generales. The constituency currently elects six deputies. Its boundaries correspond to those of the Spanish province of Badajoz. The electoral system uses the D'Hondt method and a closed-list proportional representation, with a minimum threshold of 3 percent. León is one of the 52 constituencies represented in the Congress of Deputies, the lower chamber of the Spanish parliament, the Cortes Generales. The constituency currently elects four deputies. Its boundaries correspond to those of the Spanish province of León. The electoral system uses the D'Hondt method and a closed-list proportional representation, with a minimum threshold of 3 percent. Málaga is one of the 52 constituencies represented in the Congress of Deputies, the lower chamber of the Spanish parliament, the Cortes Generales. The constituency currently elects 11 deputies. Its boundaries correspond to those of the Spanish province of Málaga. The electoral system uses the D'Hondt method and a closed-list proportional representation, with a minimum threshold of 3 percent. Álava is one of the 52 constituencies represented in the Congress of Deputies, the lower chamber of the Spanish parliament, the Cortes Generales. The constituency currently elects four deputies. Its boundaries correspond to those of the Spanish province of Álava. The electoral system uses the D'Hondt method and a closed-list proportional representation, with a minimum threshold of 3 percent. Ávila is one of the 52 constituencies represented in the Congress of Deputies, the lower chamber of the Spanish parliament, the Cortes Generales. The constituency currently elects three deputies. Its boundaries correspond to those of the Spanish province of Ávila. The electoral system uses the D'Hondt method and a closed-list proportional representation, with a minimum threshold of 3 percent. Navarre is one of the 52 constituencies represented in the Congress of Deputies, the lower chamber of the Spanish parliament, the Cortes Generales. The constituency currently elects five deputies. Its boundaries correspond to those of the Spanish province of Navarre. The electoral system uses the D'Hondt method and a closed-list proportional representation, with a minimum threshold of 3 percent. Castellón is one of the 52 constituencies represented in the Congress of Deputies, the lower chamber of the Spanish parliament, the Cortes Generales. The constituency currently elects five deputies. Its boundaries correspond to those of the Spanish province of Castellón. The electoral system uses the D'Hondt method and a closed-list proportional representation, with a minimum threshold of 3 percent. Valladolid is one of the 52 constituencies represented in the Congress of Deputies, the lower chamber of the Spanish parliament, the Cortes Generales. The constituency currently elects four deputies. Its boundaries correspond to those of the Spanish province of Valladolid. The electoral system uses the D'Hondt method and a closed-list proportional representation, with a minimum threshold of 3 percent. Huesca is one of the 52 constituencies represented in the Congress of Deputies, the lower chamber of the Spanish parliament, the Cortes Generales. The constituency currently elects three deputies. Its boundaries correspond to those of the Spanish province of Huesca. The electoral system uses the D'Hondt method and a closed-list proportional representation, with a minimum threshold of 3 percent. Zamora is one of the 52 constituencies represented in the Congress of Deputies, the lower chamber of the Spanish parliament, the Cortes Generales. The constituency currently elects four deputies. Its boundaries correspond to those of the Spanish province of Zamora. The electoral system uses the D'Hondt method and a closed-list proportional representation, with a minimum threshold of 3 percent. ↑ Elected as deputy for PRO, resigned her party on 19 de march 2019. ↑ Elected as deputy for RD, resigned his party on 5 january 2019. ↑ Elected as deputy for UDI, resigned his party on 17 december 2018.